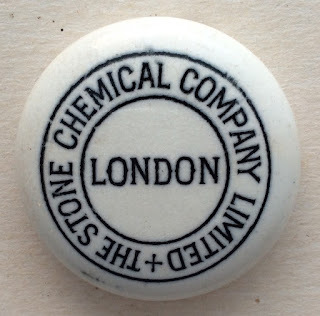 in the London directories has not produced any information as to where exactly the pots are from. 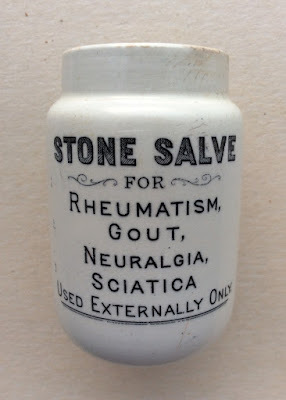 The Stone Salve pot contained a product to deal with Rheumatism, Gout Neuralgia & Sciatica. 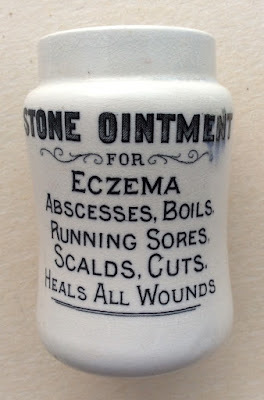 The Stone Ointment pot contained a product to help Eczema, Abscesses, Boils, Running Sores, Scalds, Cuts and to heal all Wounds. A Stone Salve pot was dug with the lid in 2004, see BBR magazine no. 100. 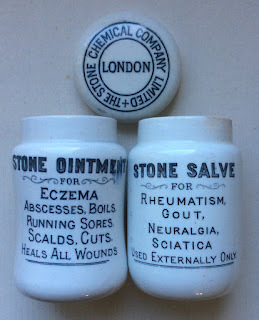 Further information regarding these pots can be obtained from the Historical Guide to Delftware and Victorian Ointment Pots book produced by Messrs. Houghton & Priestley, page132.